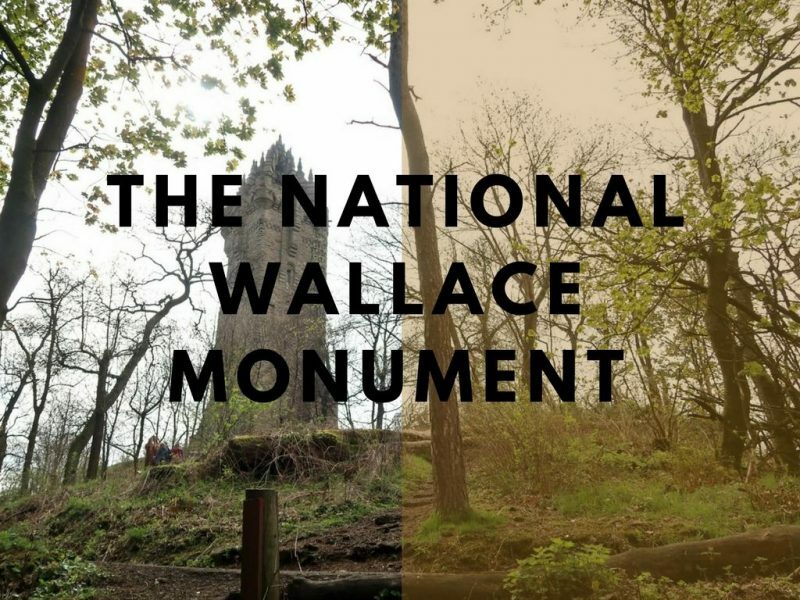 We’ve visited the National Wallace Monument many times before and always had a great time. However one of the things we’ve always done before is to take the bus to the top and back down again. 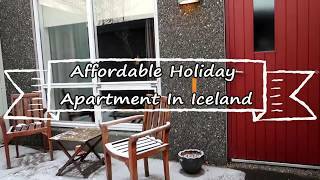 This visit we decided to do something different. 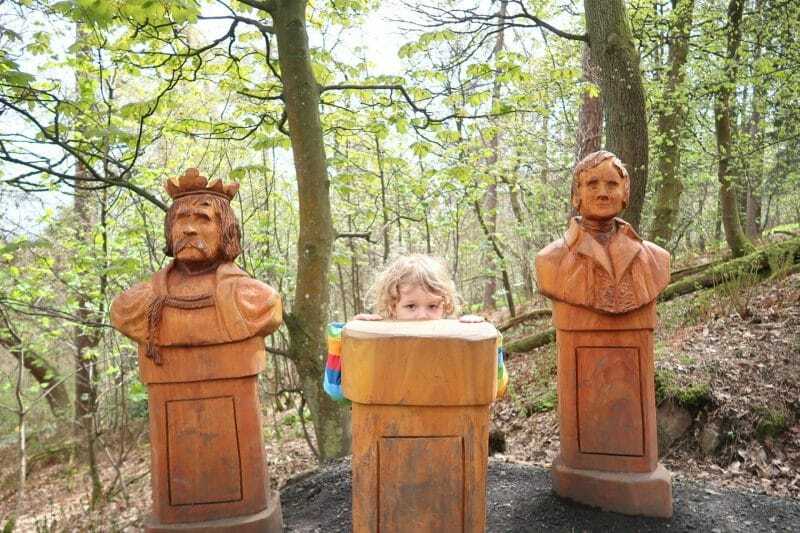 Last year 11 woodcarvings were placed in the woodlands on the way up to the monument. My two were asked to come along to take publicity photos when they were first put in place, although a couple of the wood carvings weren’t quite finished then. So this was our first time actually seeing the whole set of 11 wood carvings and the boys were more than happy to race along the path to find each carving! They were also delighted to get a map of the route each and spot themselves on the cover. 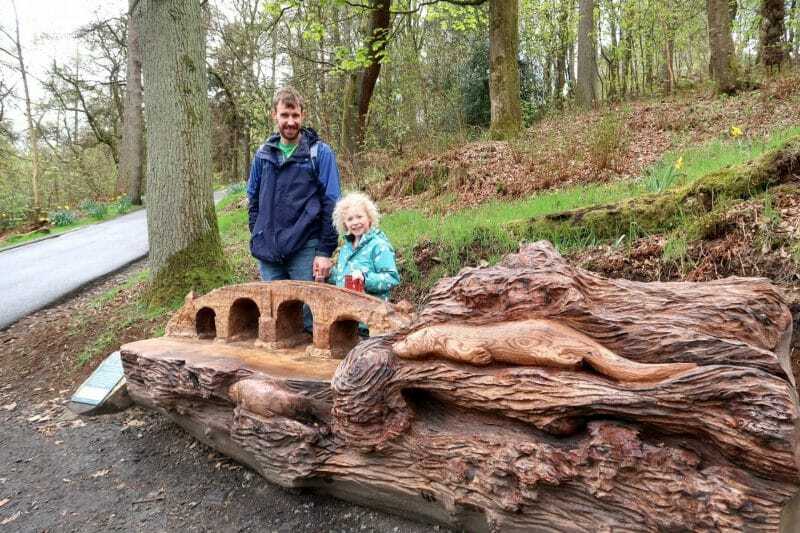 The carvings are designed to take visitors through the history of Stirling and the Abbey Craig from ice age until the monument itself was built. I love the variety of different wood carvings, although the train is possibly their favourite as it’s great for children to play on! Personally I rather like the Stirling Bridge wood carving with the sleek otter in the water. 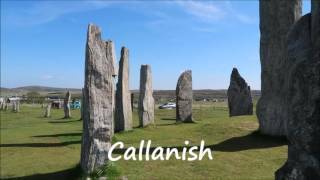 There are a couple of wood carvings that are great for photo ops and putting your head in the place of vikings, Picts and Romans or just as a bust from one of the monuments rooms. 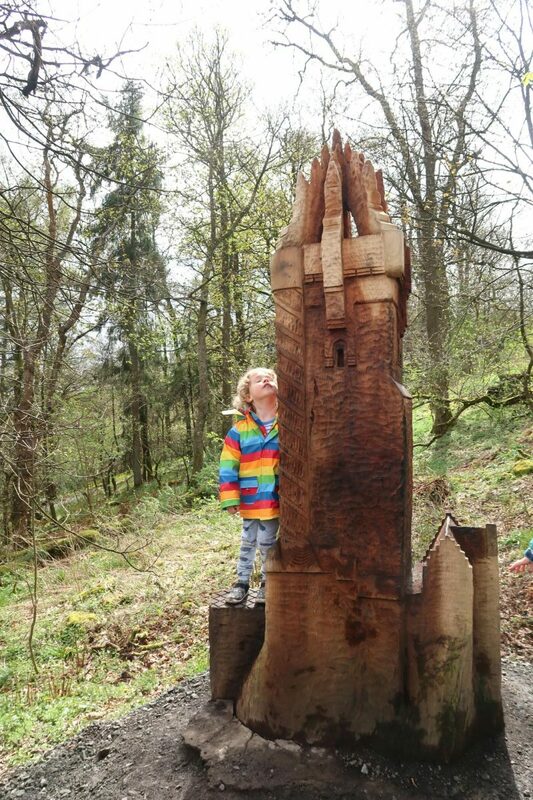 Just before you reach the Wallace Monument there’s a wood sculpture of the monument with a little plinth so you can stand beside it too. I’m impressed at just how detailed it is! 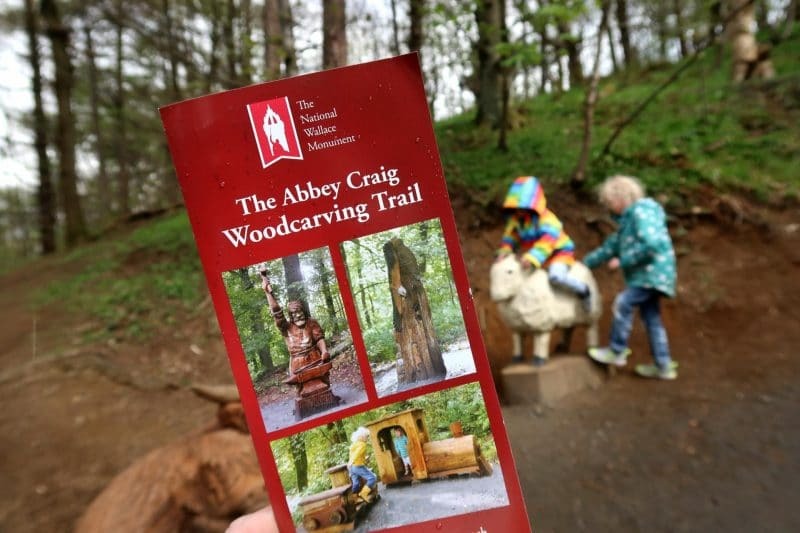 The woodcarving trail is a great way to encourage people to walk up and down the hill to the monument, rather than using the minibus. Anything to be more environmentally friendly and get exercise is good in my book! 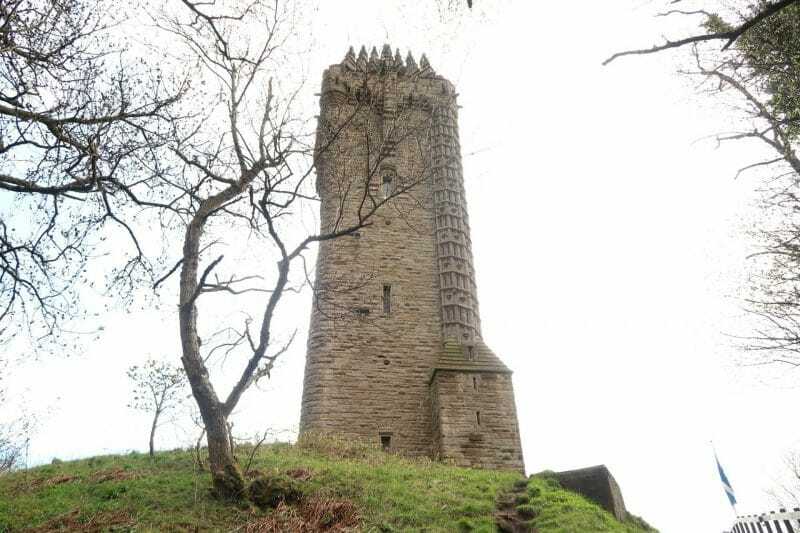 When we visited the Wallace Monument there were regular actor performances about ‘Tales From The Battlefield’. 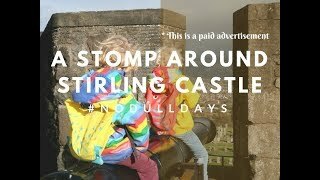 Two soldiers from the opposing Scottish and English armies meet after the Battle of Stirling Bridge and clash over opinions. There’s no fighting, but swords are definitely swung around a fair bit! 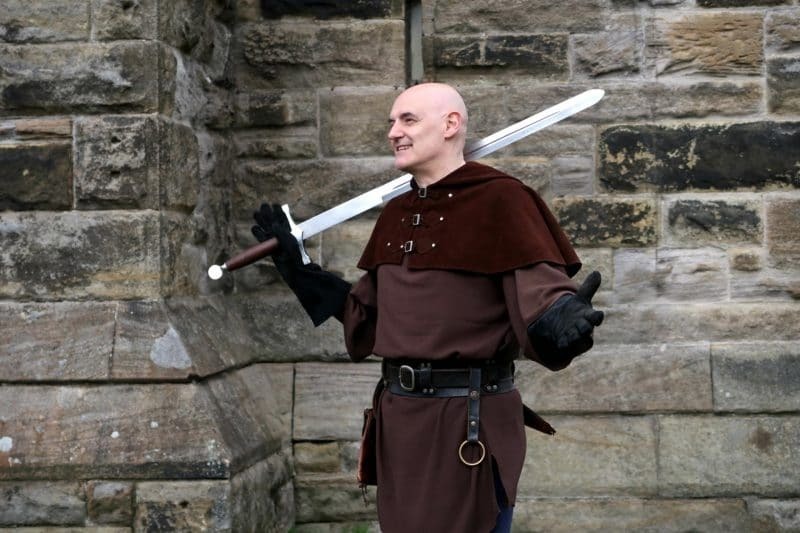 Afterwards the actors give you a chance to hold a sword similar to those that would have been used in battle. 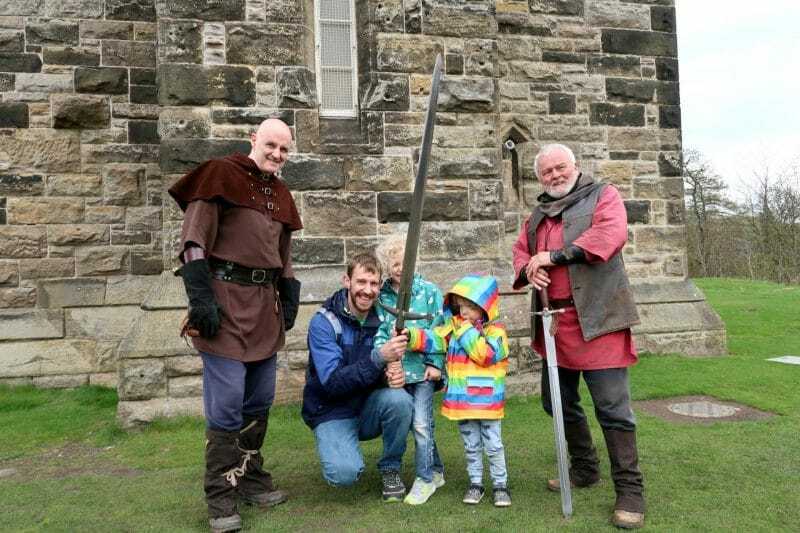 Both boys were excited to hold the sword, although it was a bit too long to hold up! Littlest has an obsession about swords, but I think he was a bit intimidated by the size of this particular one. Inside the tower there are 3 separate floors, each with something different to learn about. The first floor is The Hall of Arms, where you can learn about Wallace and de Moray’s triumph at the Battle of Stirling Bridge. You can learn about how they won the battle, despite having a much smaller and less organised army. 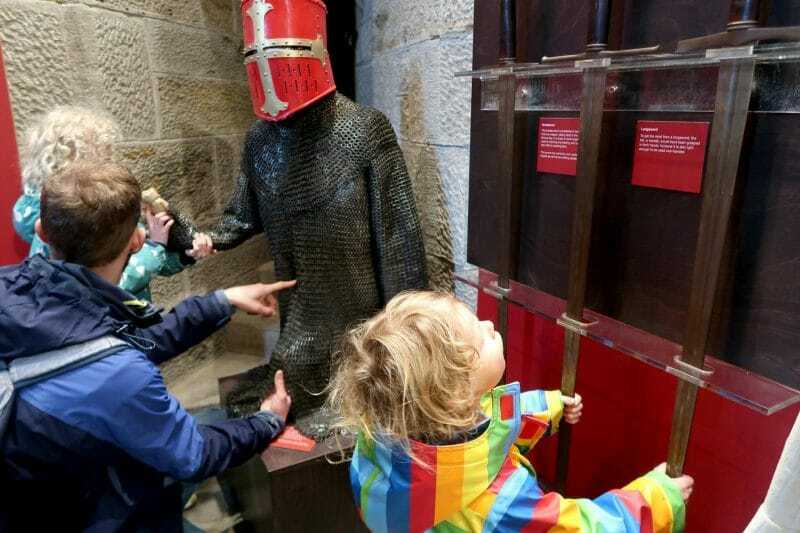 Plus the kids can see the armour and weapons that would have been used. 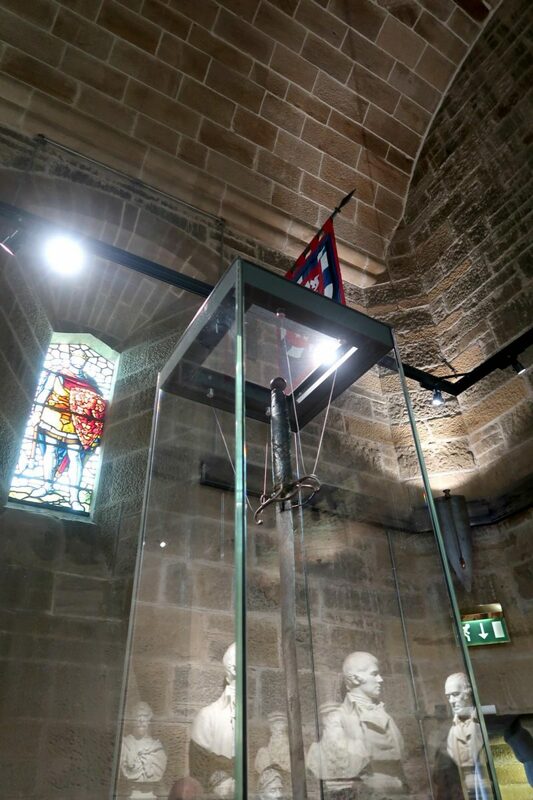 In the Hall of Heroes you can view the Wallace sword and learn about the famous Scottish women and men. All the current busts are of famous Scottish men, but there are two new busts of famous Scottish women currently being made and should hopefully join the hall later this year. 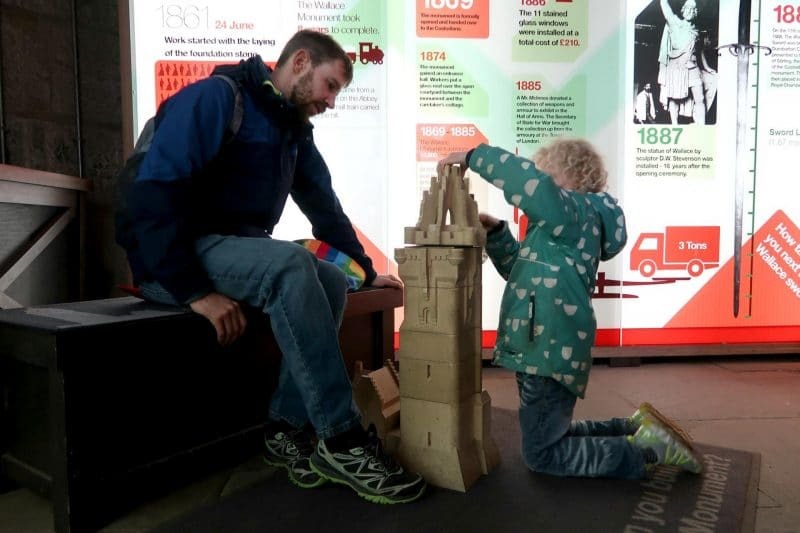 The final floor takes you to the Royal Chamber, although our two think of this as a game room as they can build a mini Wallace monument and put together a giant jigsaw! The boards in this room tell of the facts and figures about building the monument. 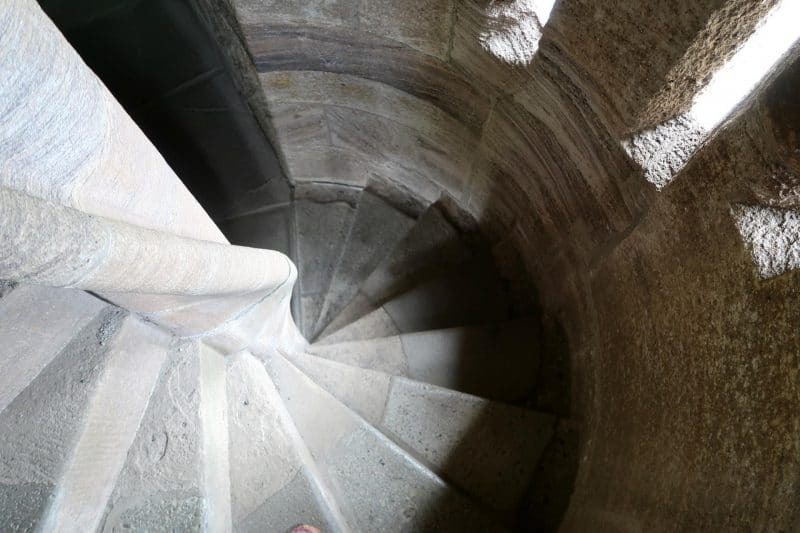 After visiting the 3 floors you can climb a little further up the spiral staircase to the crown of the tower. Take care when climbing the staircase on busy days as you will need to give way to others going up or down the stairs and as it’s tight it’s best to wait in the entrance of the rooms until it’s clear to go. 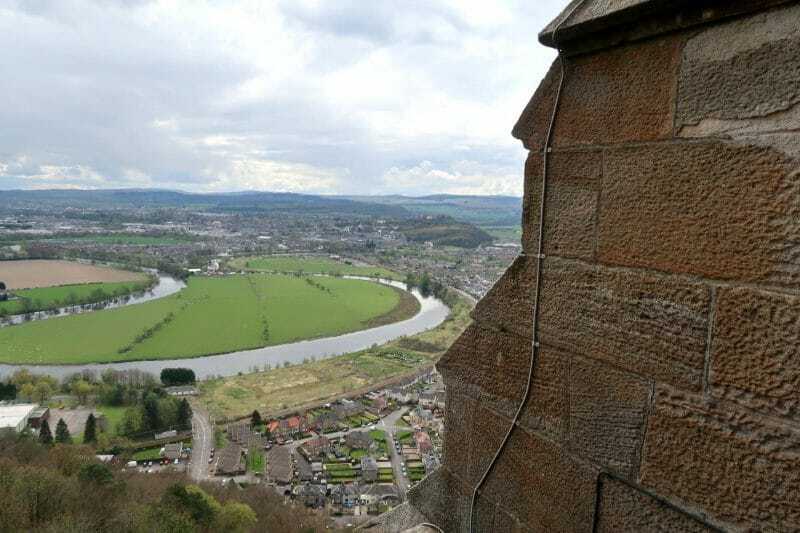 In the crown you can get a great view in all directions, from the Ochil hills to Stirling Castle and beyond. It’s always fun to spot the battleground that Wallace and de Moray fought on. Check the information plaque on the tower for more information on where exactly it was. 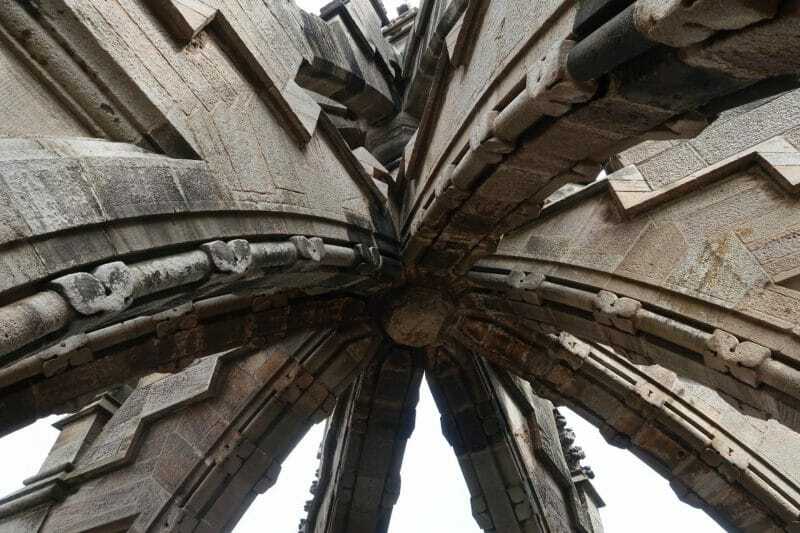 Don’t forget to look up and admire the crown of the Wallace Monument, it really is an amazing piece of architecture! We had a fantastic time at the National Wallace Monument and both boys have asked to visit again soon, which says it all really?! The actor performances are one of my favourite things, they get across so much information in their performance and make it amusing too! Of course the woodcarvings are also a big hit too and I love that we don’t have the kids asking to get the bus and instead racing down the hill. 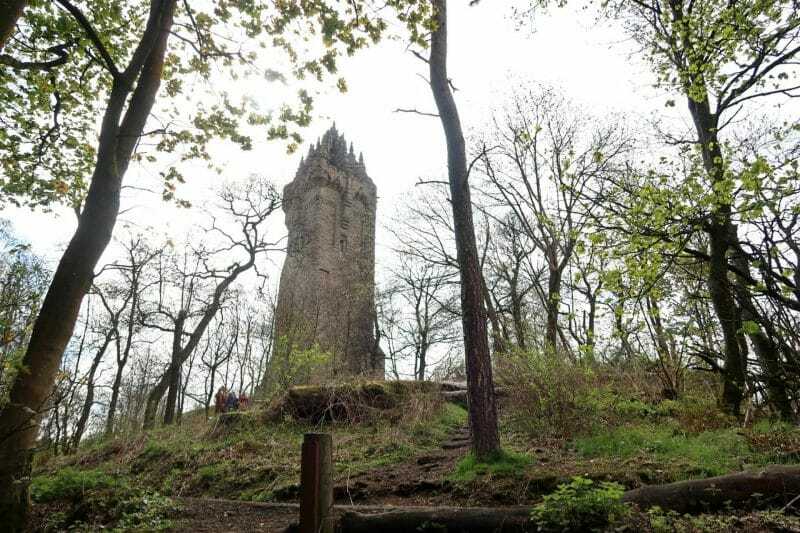 Find the opening times and prices over here at the National Wallace Monument website. 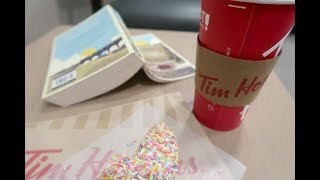 * We received tickets for the purpose of this post, however all opinions are our own.